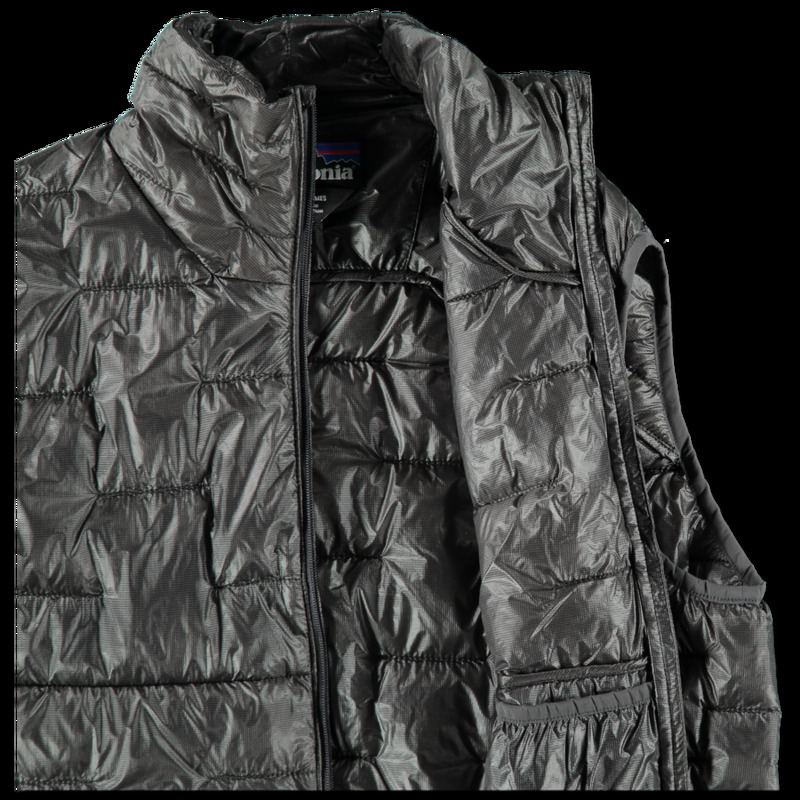 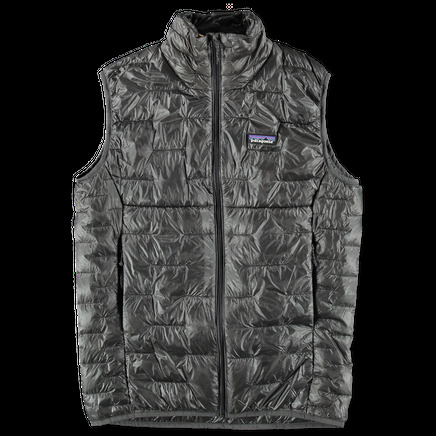 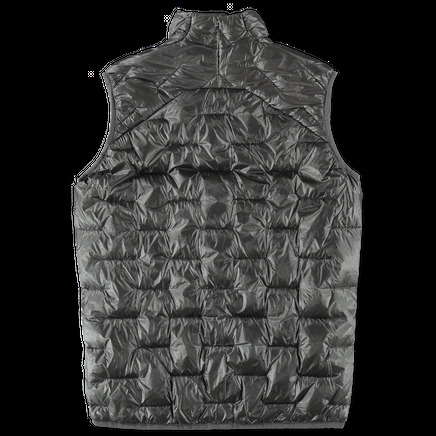 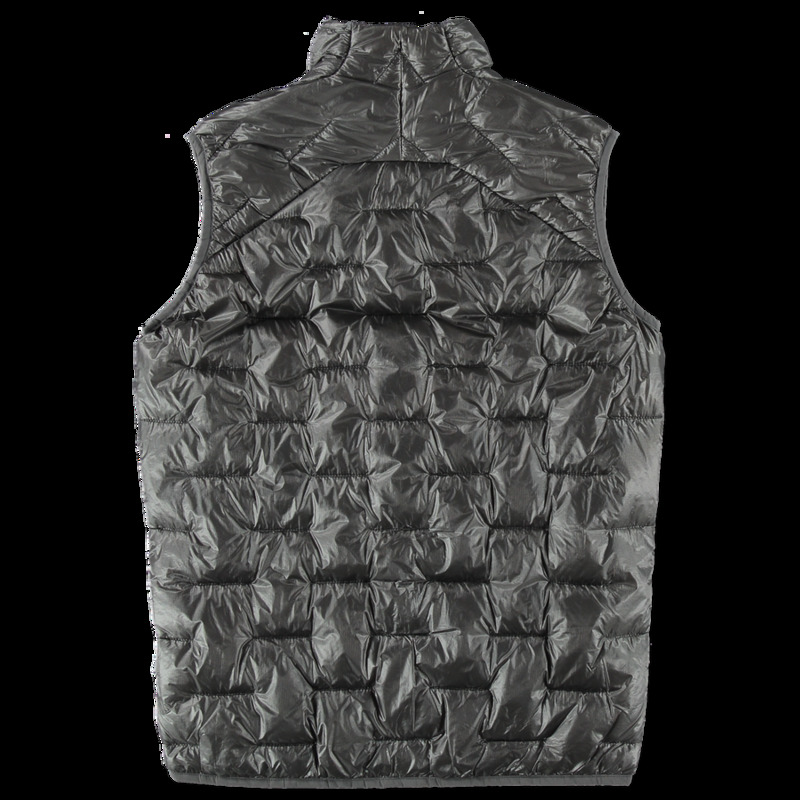 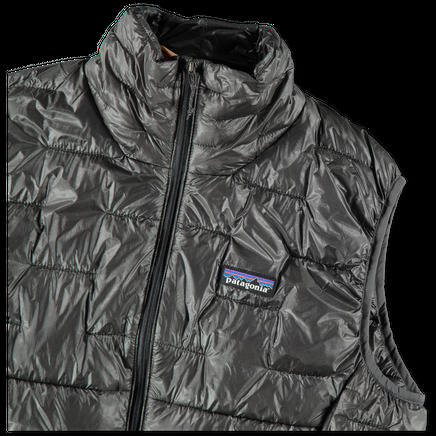 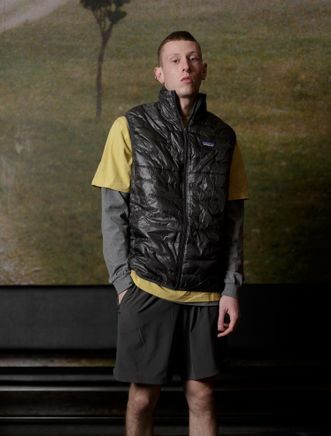 Lightweight primaloft insulated vest featuring a recycled nylon ripstop shell with brick quilting. Full zip front closure, stand collar and zippered handwarmer pockets. 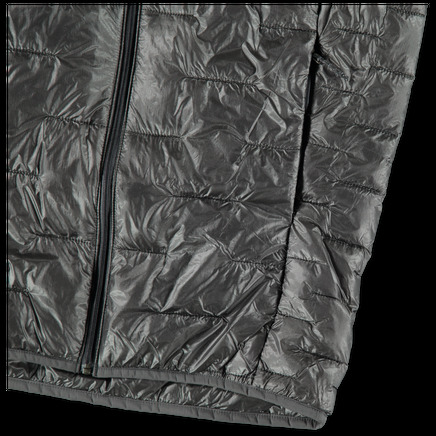 Slightly rounded hem with internal drawstring.